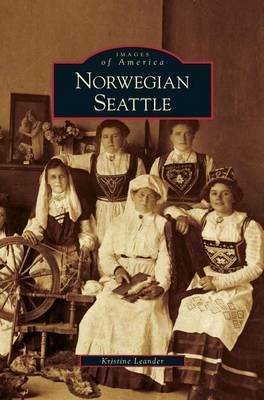 The Norwegians who immigrated to Seattle were a sturdy stock. Perhaps it was due to their ancient history as determined Viking seafarers or their more recent experiences as tenacious fishermen, farmers, loggers, and carpenters. From the first Norwegians to arrive in 1868 through today, Seattle s Norwegian American community has maintained a remarkable cohesiveness. They participate in Sons and Daughters of Norway and other clubs; enjoy lutefisk dinners, lively music and dance groups, and the annual May 17 parade; boast elaborately knitted sweaters and historic costumes; and labor over language classes and genealogy. The result is a pride of heritage unique to the Norwegian Americans in Seattle and a sinew that binds their community." Buy Norwegian Seattle by Kristine Leander from Australia's Online Independent Bookstore, Boomerang Books.